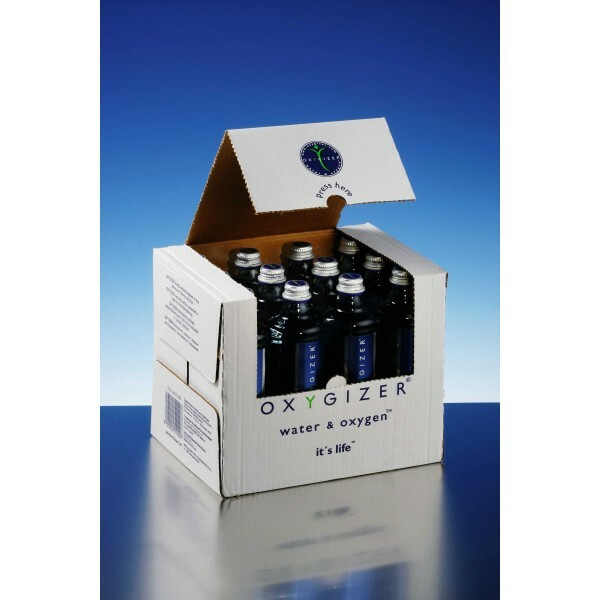 Oxygizer Natural Water – Pack of 12 500ml bottles. Oxygizer is the natural mineral water from the Dolomites enriched with 3000% more oxygen. You will be doing oxygen therapy by simply drinking Oxygizer! 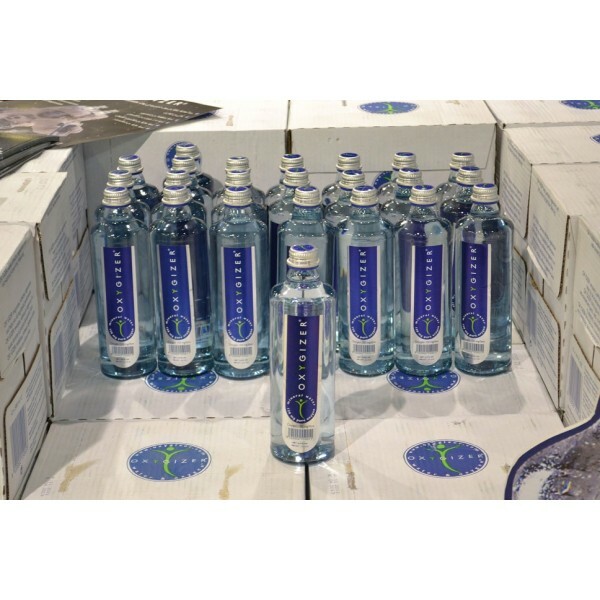 Oxygizer is a natural mineral water from the Dolomites, enriched with 3000% more oxygen. The high percentage of oxygen allows to obtain aesthetic and physical benefits, reinvigorating skin, nail and hair cells. You will be doing oxygen therapy by simply drinking Oxygizer! For those who practice sports: the high percentage of oxygen contained in the water reduces the secretion of lactic acid, improves the production of energy and lowers the heart rate during physical effort, speeding up the recovery phase. THIRST FOR KNOWLEDGE: WHY IS IT ONE OF THE BEST MINERAL WATERS? 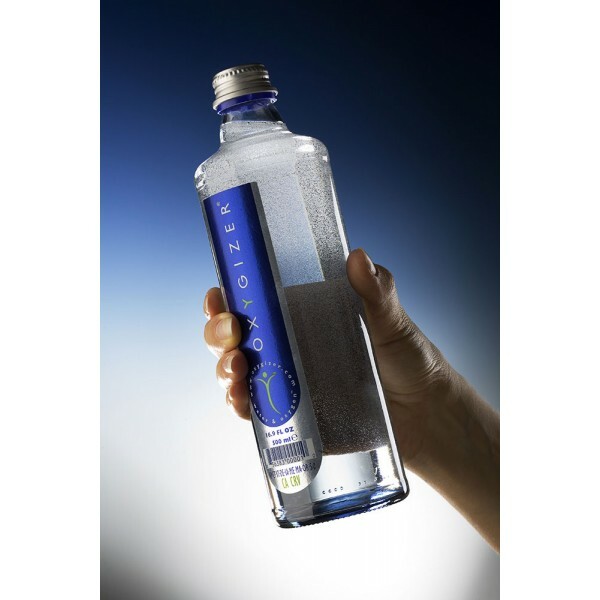 OXYGIZER is a pure spring water from the Dolomites of Sesto, it contains approximately 150mg of oxygen, namely 3000% more with respect to normal water, without carbon dioxide, poor in sodium, sold in a glass bottle from which oxygen cannot escape. OXYGIZER improves performance in situations of maximum effort and improves the subsequent regeneration phase. The importance of drinking water. Water connects, dissolves, cools, transports, absorbs and enlivens. Water is the means of transport that transfers all the essential nutrients to our cells. Water is the thermostat that regulates our body temperature. … in many cities, because of smog and zone load, the original oxygen content in the air diminish? … in large office more and more people suffer from a lack of oxygen? … during physical strain, the necessary oxygen intake increases up to 100%? Oxygizer mostly oxygenises tissues because, besides respiration, oxygen is channelled directly by water and absorbed in the stomach and intestine. All the physical aspects benefit: more oxygen in the blood, muscles, skin and all the organs. The benefits on the appearance and quality of the skin, nails and hair will be a pleasant reality, combined to the general physical wellbeing. WHY IS IT THE WATER RECOMMENDED FOR SPORTSMEN? The oxygen reduces the secretion of lactic acid, mainly responsible for tiredness and fatigue. It increases the production of energy and activates the cells. The high percentage of oxygen in the water decreases heart rate during physical effort and allows a fast recovery after sports. OXYGIZER improves performance in situations of maximum stress and improves the subsequent regeneration phase. Prof. WOLFGANG MARKTL (Scientific Director of the Institute of Medical Physiology of the University of Vienna) and his research team have complete scientific exercise tests. In this context, they were able to demonstrate the effective influence and the effects of Oxygizer on physical endurance, in the form of casual double simulation. 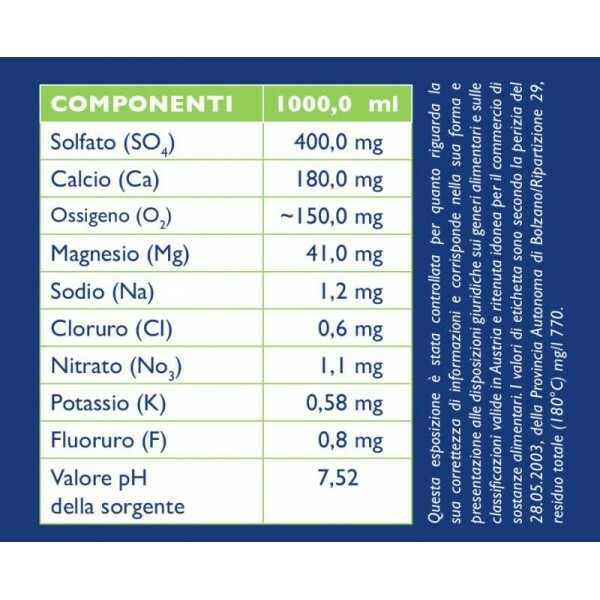 OXYGIZER is a table water of great value, made up of the following ingredients: natural minstrel water from the Dolomites of Sesto enriched with pure oxygen. It contains 3000% more oxygen with respect to normal water. By and large, every cell of the human body is capable of absorbing oxygen. Renowned scientists and doctors are of the opinion that OXYGIZER© is transported to the cells via the stomach mucous and digestive tract. PHYSIOLOGICAL CALOFIC VALUE: O Kcal. (OKJ). OXYGIZER is the ideal drink to refresh and revitalise the body and organism. OXYGIZER mixes oxygen and pure mineral water, the most precious elements in nature, in a crystalline unit. OXYGIZER has no side-effects and can be taken during meals, before training, during or after physical effort and every time you are thirsty! Can a 2-year-old baby drink it? Of course! Oxygizer is natural mineral water and is also low in nitrates therefore suitable for children. Oxygizer is not a medicine so it has no side-effects. The amount of oxygen present in the water is increased naturally.